What does stress feel like? When you’re too busy, overwhelmed, and running yourself ragged, do you notice that your muscles feel tense? Do your shoulders shrug up towards your ears? Maybe the muscles in your back become rigid and knotted, or you get a queasy feeling in your gut. These physical sensations may indicate that your sympathetic nervous system (SNS) has revved into high gear. Your body’s reaction to stressors is regulated by your autonomic nervous system, that part of the nervous system that controls the body’s unconscious, involuntary processes. When you experience high levels of stress, the SNS (a.k.a “fight-or-flight” response) kicks in to prepare you to deal with the stressor. A cascade of physical responses results—heart rate speeds up, pupils dilate, digestion slows down, sweat glands activate, and blood flow to your skeletal muscles increases. Practicing restorative yoga poses generates a shift in your body from the SNS to the parasympathetic nervous system (PNS) or “rest-and-digest” response. When you take the time to support your body completely with bolsters and blankets, settle into stillness, slow your breathing, consciously relax your muscles, and surrender into the embrace of gravity, you create a safe and nurturing environment in which to rest. Your body interprets these signals and, no longer needing to be on high alert, slows down the SNS and activates the PNS. Heart rate decreases, various metabolic processes are activated, and digestion is stimulated as the sphincter muscles in the gastrointestinal tract relax. Supported Spinal Twist is a restorative pose that addresses the achiness and tension that can accumulate in the muscles of the back when you’re overly stressed. It stretches the lower back muscles, such as the spinal rotators and quadratus lumborum. It also opens the intercostal muscles between the ribs, which enhances your ability to breathe deeply. As you linger in the pose, tension gradually releases from the muscles along the back body, side body, and neck. Eventually, your mind may feel more calm and quiet, your body more relaxed, and your breath slower and smoother. Kneel in Vajrasana (Thunderbolt Pose), with your shins on the ground and your hips on your heels. Shift your hips to the right, so the outside of your right leg is on the ground and your feet are to the left. You may sit with your legs together, or place the left knee in the arch of the right foot with the shins forming a right angle. 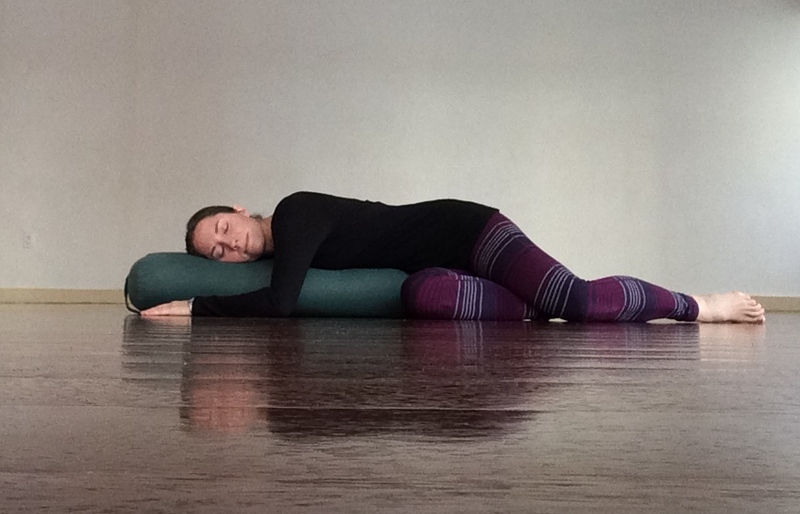 Place the end of the bolster against your right hip, perpendicular to your right thighbone. Turn to face the bolster. Put your hands on the ground, one on either side of the bolster. Lengthen your spine and lower your chest toward the bolster. As you position your head on the bolster, choose to either look in the direction of your knees for less intensity or away from the knees for more intensity. Rest your arms comfortably on the ground. Surrender all of your weight to the pull of gravity, and allow your body to grow heavier and heavier. Feel your body gradually releasing tension. Notice if there are any parts of your body that feel resistant to relaxing. If there are, direct your attention there. Imagine you could breathe directly into those parts of your body. Soften the space between your shoulder blades. Relax your neck, throat and facial muscles. Rest here for two to five minutes, breathing quietly. If your head is turned away from your knees, turn to look toward them and rest for a few breaths. Slide your hands under your shoulders and press them down into the floor. Keep your head as heavy as possible as you roll up to sit. Your head will arrive last. Turn away from the bolster to transition to the second side. If you experience any lower back or sacroiliac (SI) joint pain while in the yoga pose, sit in Vajrasana with your legs together and slide a folded blanket between your knees, shins, and ankles. 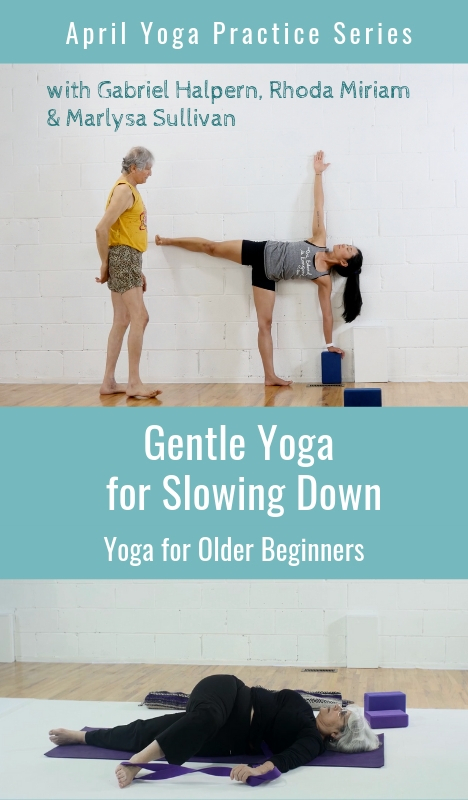 When first coming into the pose, experiment with the placement of your legs until you find a position that feels comfortable for your lower back. If you experience neck discomfort, experiment with the position of your head to see which feels right for you: looking away from the knees, looking towards the knees, or even resting your forehead on the bolster. Placing a folded blanket under your head in any of these positions may create more support and ease for your neck. Some people find more comfort in this yoga pose by stacking extra folded blankets lengthwise along the bolster to create a higher support. Practice this yoga pose with extra care if you suffer from disc disease, spondylolisthesis, and spondylosis. If you’ve had a hip replacement or experience SI joint instability, use a blanket between the knees, shins, and ankles (see Modification #1). 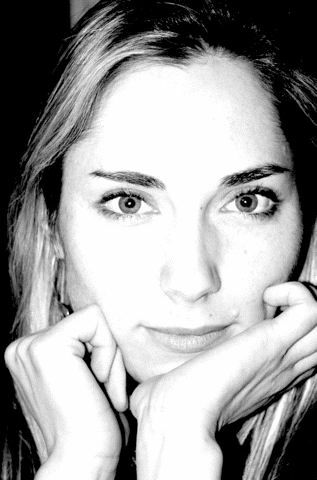 Want to learn more about Restorative Yoga? Nourish & Rejuvenate: The Art of Practicing & Teaching Restorative Yoga - a 4 Week Course with Judith Hanson Lasater and YogaUOnline. Or try this Restorative Pose from YogaUOnline and special contributor, Charlotte Bell - Relax Your Back In Forward Bends.